At CrossFit Mayview, all of our members have different goals, so we offer classes for all fitness levels. No matter what level you are, our coaches are here to modify to the individual, making this facility accessible to everyone. 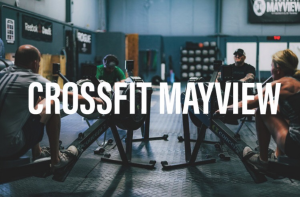 Whatever you need, CrossFit Mayview has you covered. We are more than a gym, we are a community. Offered every Sunday from 9am-10am. This class is a great complement to your regular CrossFit class schedule. Our foundations class will introduce you to the basics of Crossfit at our Crosfit Mayview Gym. All fitness levels are welcome, and our program can be tailored to challenge everyone from complete beginners to elite athletes. We can design a program that is as individualized as you are, working alongside you to help take your training to the next level.